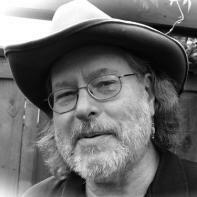 Guest Post, Rich Ives: Which Box Do I Put It In? Which box do I put It In? While this might seem like a statement, it is really a question disguised as an observation. It seems to me that one of the most destructive trends in recent “literary fiction” successes has been the devaluation of style in favor of plot and character. While ideally, all these things should work together, popular literature has always favored plot and character over style, and now it appears that even “literary” works fear too much development of style as a clear sign of a limit to the potential audience for the work, the kind of thinking that was previously more limited to genre writing, best seller attempts, and the innumerable serial novels. The backlash to this exists in “innovative” fiction and some small press releases, but the gap between the two has been increasing. In poetry, there is an equivalent polarization between experimental and traditional although the reasons seem to have much less to do with the potential popularity of the work. Fortunately, there are always writers more interested in the most unique and complete experience of the writing regardless of popularity trends, which are usually not really trends at all but disguised returns to more direct explanation in the fiction. “Show us, don’t tell us,” often becomes give us the experience and then tell us what it should mean. Popular fiction has always been good at stealing the thunder from literary art by adapting its successes to more mundane purposes. One of the latest victims of this is flash fiction, which has in many quarters been increasingly less experimental and wide-ranging in its structures, approaches and particularly its style. Some publishers of flash fiction are now drawing a stricter line between the prose poem and flash fiction. Theoretically interesting perhaps, but isn’t that defeating one of the reasons the form developed? I began writing shorter prose works first as a poet trying on foreign hats, finding so much more of interest in the form in translated works from countries where the distinction between poetry and fiction was not so clearly drawn, places like Russia, for example, where poetry is actually popular and sometimes sells well. I felt a freshness that caught and held my attention more fully in the form, and one of the reasons was that I could come to it with fewer preconceptions of what it should be. As I worked in shorter prose forms, I found it veering into essay, autobiography and satire as well as mixing fiction and poetry, and the range of possibilities excited me. There are rhythms and voices that function better in a confined space. There are different kinds of condensation and pacing. There is a different kind of tension created by knowing the experience will end sooner. As I explored the range of possibilities, I found several of the resulting works rejected by a poetry magazine for being “fiction” and the same work rejected by a fiction magazine for being “poetry” without either of them having actually considered the work beyond their assumptions of its genre. I started sending the work without labeling it or designating which department it should go to and had pieces accepted by both fiction and poetry editors assuming it was meant for them, and even labeled with just as much certainty as “essay,” an assertion I had not considered, but which, once it had been pointed out to me, seemed equally valid. Now that the idea of fiction completing itself in a much shorter space has been more widely accepted, the attempts to restrain it to more definable dimensions are returning, and the reactions against this are also occurring, making the questions such work raises once again more polarized. Is this healthy disagreement, or merely two equally restricting forms of boxing up creativity? Many literary magazines and online sites claim to want “experimental” and “hybrid” work, but is this really what they want and publish, or have too many of them narrowed the definitions, and has the label “experimental” become merely an excuse for focusing on a single dimension of the work, just as popular fiction does with a different single dimension? The Paris Literary Prize, an international novella competition for unpublished writers, is open for submissions. The Prize is sponsored by Shakespeare & Company and The Groot Foundation. Shakespeare and Company, the famed Paris book shop on Paris’ Left Bank, has a long-standing tradition of opening its doors to aspiring writers and in keeping with that philosophy, the 10,000€ Paris Literary Prize is open to writers from around the world who have not yet published a book. We have long been admirers of the novella, a genre which includes such classics as The Old Man and the Sea, Animal Farm, L’Étranger and The Prime of Miss Jean Brodie. The Paris Literary Prize celebrates this small but perfectly formed genre while giving a unique opportunity to writers whose voices have not yet been heard. All three winners will be invited to a weekend stay in Paris to attend the Prize ceremony and read from their work at a special event at Shakespeare and Company.